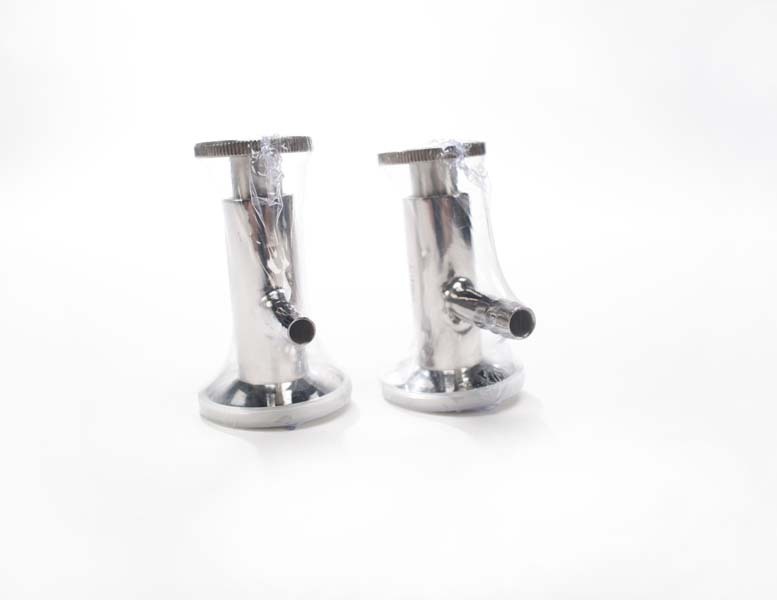 Sanitary Solutions is your source for a T304 Sanitary Sample Valve primarily found in the Beverage, Brewery, Pharmaceutical, Tank and Winery Industries. 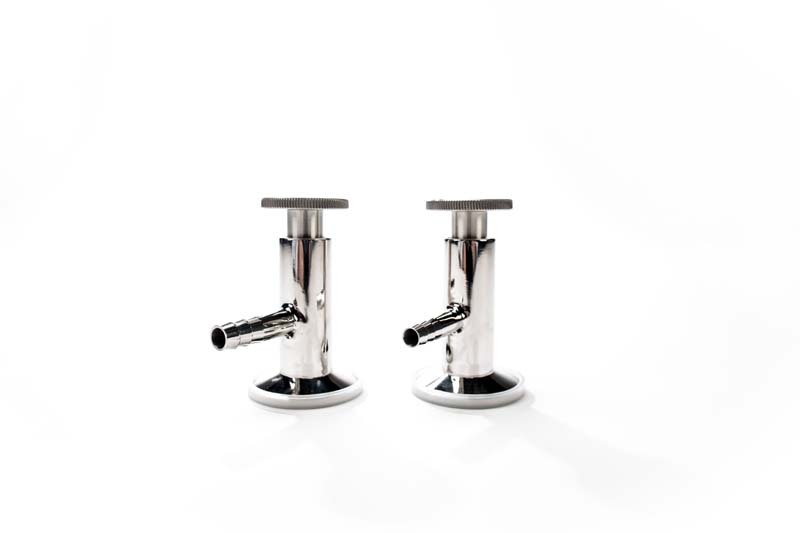 Our T304 Sanitary Sample Valve is clamp end with either a 3/8" or 1/2" spout depending on the size needed. 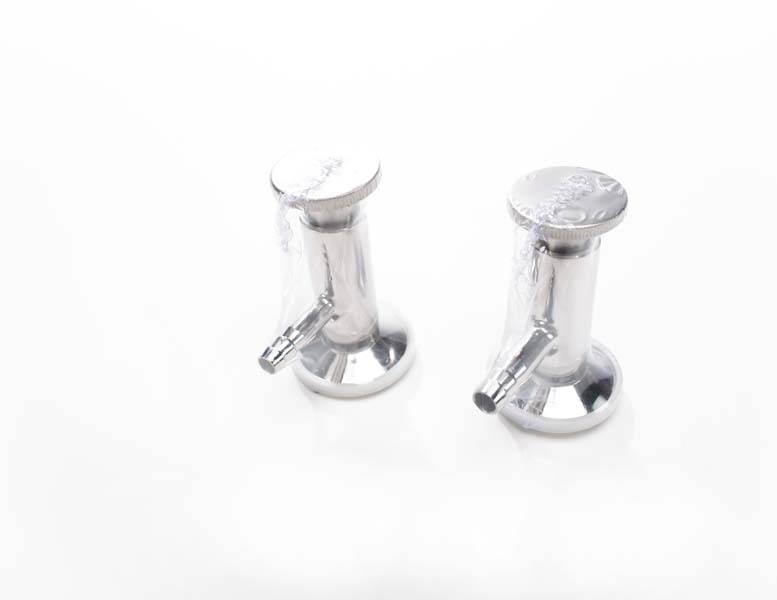 As for the surface finish of the valve, our valve is polished to meet sanitary standards. 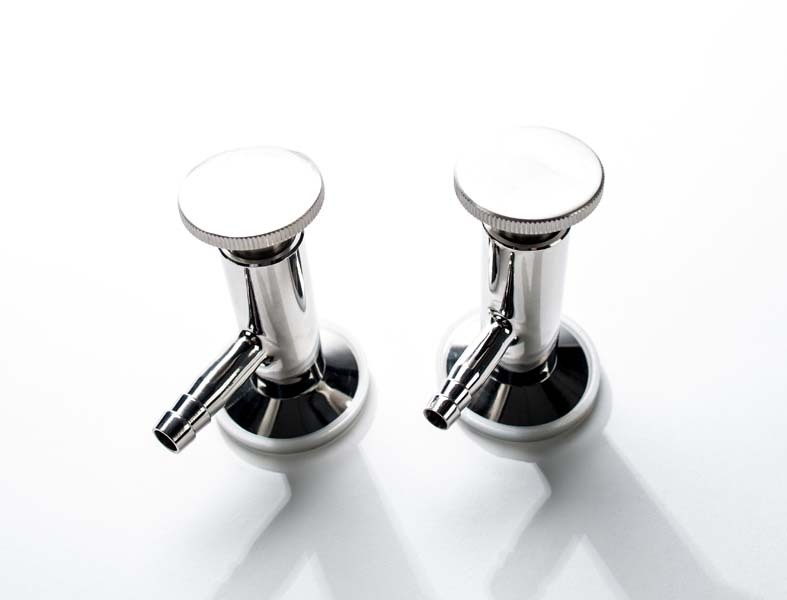 A silicone seat to provide a leak proof shut off, two silicone O-rings, T304 Stainless Steel stem and knob assembly. The Pressure / Temperature Rating for each of the valves is : 190 PSI at 290 degrees F.
We stock a Repair Kit for the Sanitary Sample Valve. Upon downloading the Valve PDF Sheets on pages 40 & 41 in our "NEW SANITARY SOLUTIONS VALVES/PRODUCT RECOVERY SYSTEM CATALOG", take notice of the dimensions and features of this valve. Sanitary Solutions can supply you with other types of sample valves which include a T316L Inline Sample Valve from sizes 1/2" -- 4.00" and T316L Angle or Right Angle Sample Valves from sizes 1/2" -- 4.00" from our domestic fabricator. The advantages of both of the above sample valves include a Teflon® seat for sealed closure, minimum dead-leg area, a Viton® O-Ring and Material Test Reports for full trace ability with heat numbers, size and alloy marked on each valve. 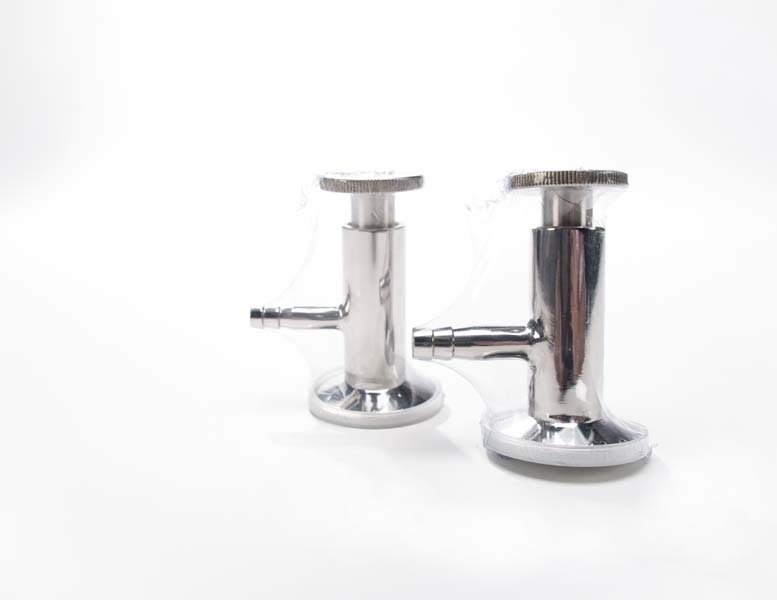 When you need a Sanitary Sample Valve in either a 3/8" or 1/2", we are your source for same day shipments. If you have an inquiry for an Inline, Angle or Right Angle Sample Valve in T316L, then we ask that you call Sanitary Solutions at 1-888-909-3569 or 1-855-640-7871 for same day shipments.